Thank you to all who celebrated our 10 year anniversary with us on November 8, 2018 at Google’s Cambridge HQ. It was great to see you! We appreciate your support! Click here to see the list of generous corporate partners and sponsors. 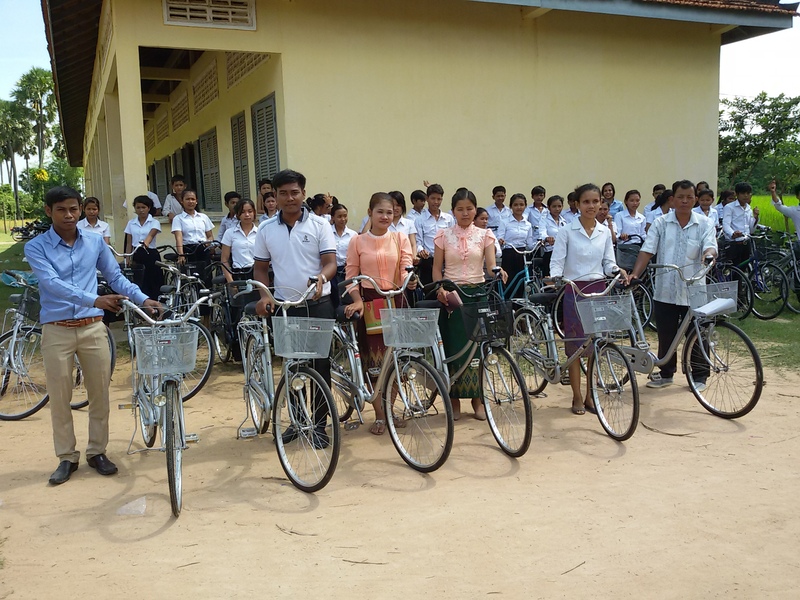 August 2018: Graduating seniors receive tech certificates and bikes. Andrew and Will Keating successfully fundraised to provide bikes for every graduate. This is the fourth year that they have succeeded to help our graduates so that they can manage the long distance to high school. Thank you, Andrew and Will! October 2017: Boston-area high school students write successful grants. Congratulations to Samira Wolf, at Falmouth Academy, Lilah Monahan, at Salem Academy, and Andrew Keating at Cambridge Rindge + Latin School for writing successful grants. September 2017: Teanaged.com fundraising website is launched! Many thanks to one of our Student Ambassadors, Lilah Monahan, for designing and selling t-shirts to benefit our students. 100% of her profits will be donated to buy library books and school supplies for our Cambodian students. Please visit teanaged.com for more information. August 2017: Bikes donated for all graduating seniors. Many thanks to Andrew and Will Keating for successfully fundraising to provide bikes for every graduate. This is the third year that they have succeeded to help our graduates so that they can manage the long distance to high school. Thank you, Andrew and Will! January 2017: Falmouth Academy Students raise funds for our school garden. 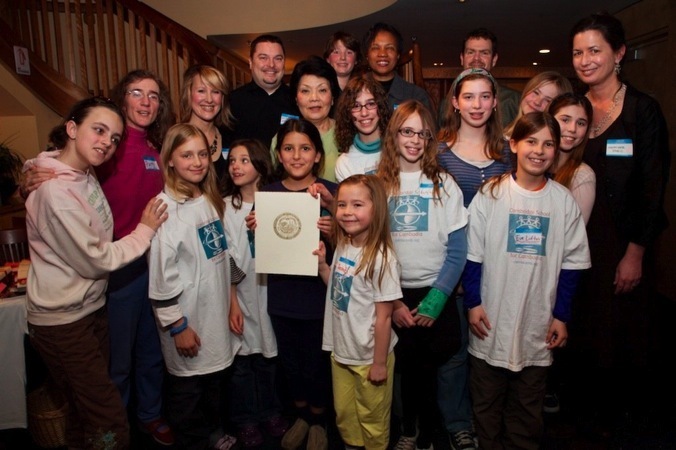 Congratulations to Student Ambassador, Samira Wolf, and her friends at the Falmouth Academy on Cape Cod. Together they raised $2500 to help fund our school garden. 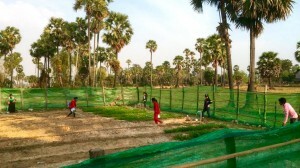 To learn more about the garden, visit this page. Congratulations to Andrew Keating and Natalie Marusiak for writing successful grant applications! Andrew, a student at Cambridge Ridge and Latin High School, raised $1,000 to buy bikes for 2017 graduates to help them get to high school. Natalie, a Belmont High School junior, succeeding in raising $1,000 for school supplies. Well done! November 2016: School is open again! Extensive school supplies, athletic equipment, teacher supplies, and classroom upgrades were donated for our largest group of students ever: 180. High school senior, Doug Robbins, wrote a successful grant to the Vanderbilt Trust for $4,000 to help cover the costs of our technology and English literacy program. Congratulations and thank you, Doug! 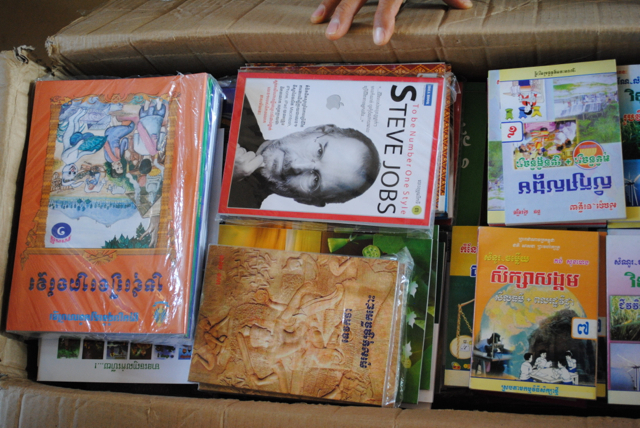 Fourteen Educators from Lowell, Massachusetts (home of the second largest expat community of Cambodians) donated books to our library during their visit. Inspired by their trip to our school in summer 2015, two Cambridge teens, Andrew and Will Keating, raised enough funds to buy a bike for each graduate of our middle school. We are grateful to Lucky Iron Fish for partnering with our school as a test site for distributing the iron fish that they have created to alleviate widespread anemia. Iron deficiency affects 60% of pregnant Cambodian women. 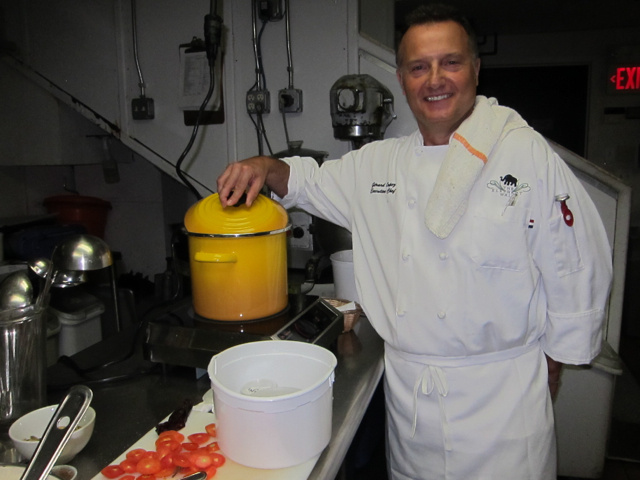 This program was made possible by the fundraising efforts of Boston teen, Doug Robbins. We’re trying a new program of gifting each student 7 notebooks, pens and other school supplies three times per year, to help families afford school for their children. These items are not provided by the Ministry of Education and often prevent children from attending school or staying in school. These donations were made possible by successful grant applications made by Boston-area students. 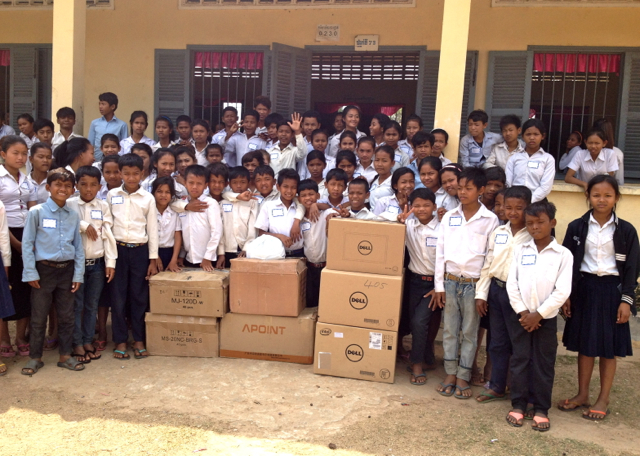 Kudos to our teens providing school supplies for Cambodian students. 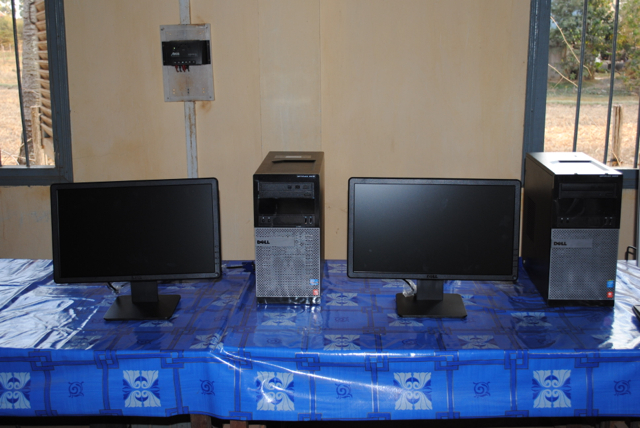 Thanks to the autumn Yard Sale and an evening event sponsored by the “Women in Cambridge” Meet Up, we were able to purchase 3 more Dell desktop computers. Following their summer trip to our school, Cambridge Ridge & Latin High School student Andrew Keating and his brother Will are fundraising to buy bikes for all of the 2015 and 2016 graduating classes. They have already raised sufficient funds to give one bike to each 2015 graduate. 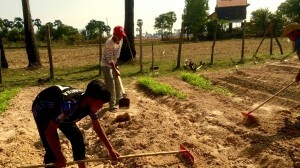 To read more about their efforts, click here. 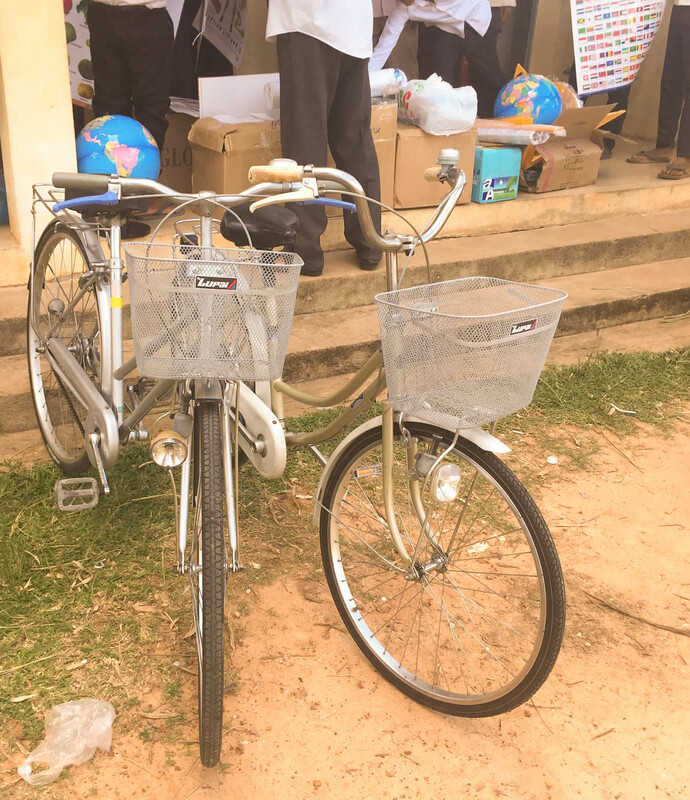 The bikes were delivered to 2015 graduates and all teachers on 11/11/15. Please help them to achieve their goal of giving bikes to 2016 graduates by clicking here to donate, or please talk to us about becoming a corporate sponsor that will sustain this effort every year. Two bikes awarded to 2015 graduating seniors. 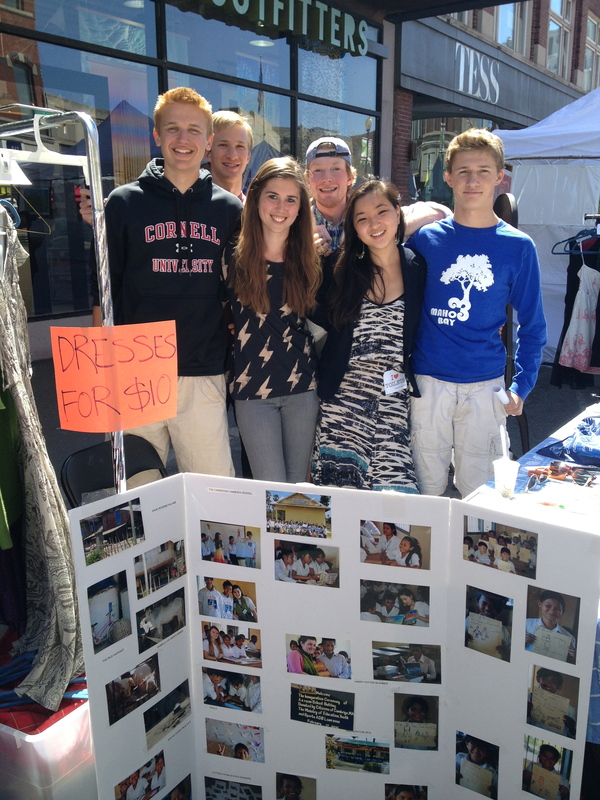 This program is being expanded to include all graduates, thanks to Cambridge teens. 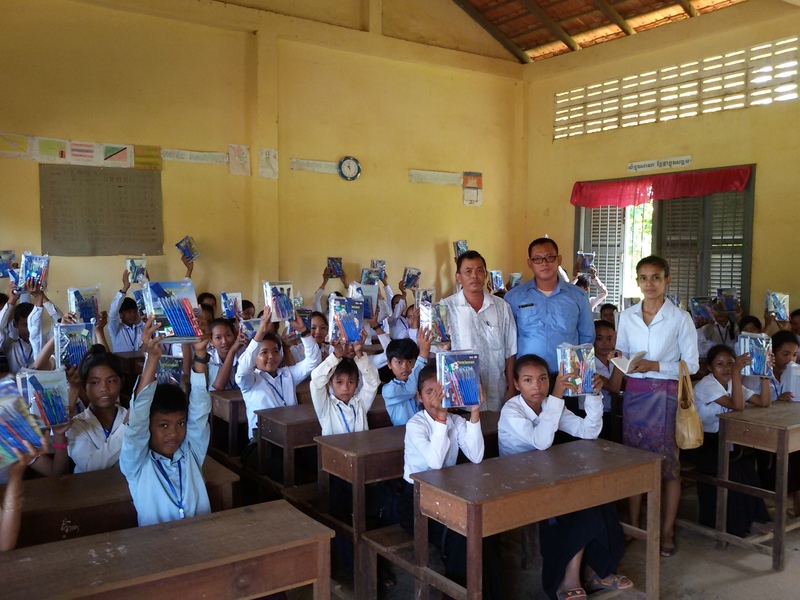 Thanks to the efforts of Cambridge fundraising, we were able to donate Khmer and English language books for the library, posters, globes, and protractors. Harvard University senior, Megan Taing, was successfully awarded a $3500 grant from the Vanderbilt Trust to fund the costs of our technology and English literacy program. Congratulations and thank you, Megan! 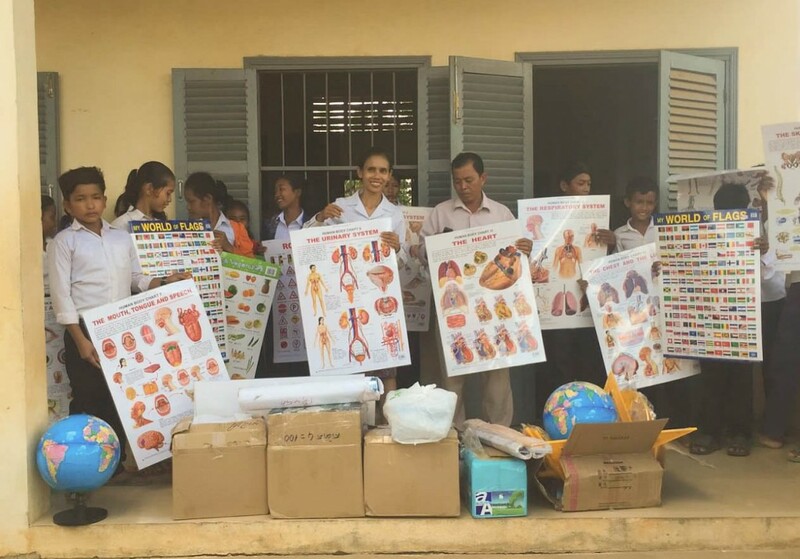 Sara Hauf, Cambridge Ridge & Latin High School, junior, was awarded a $1000 grant to buy books for our library in Cambodia. Congratulations and thank you, Sara! 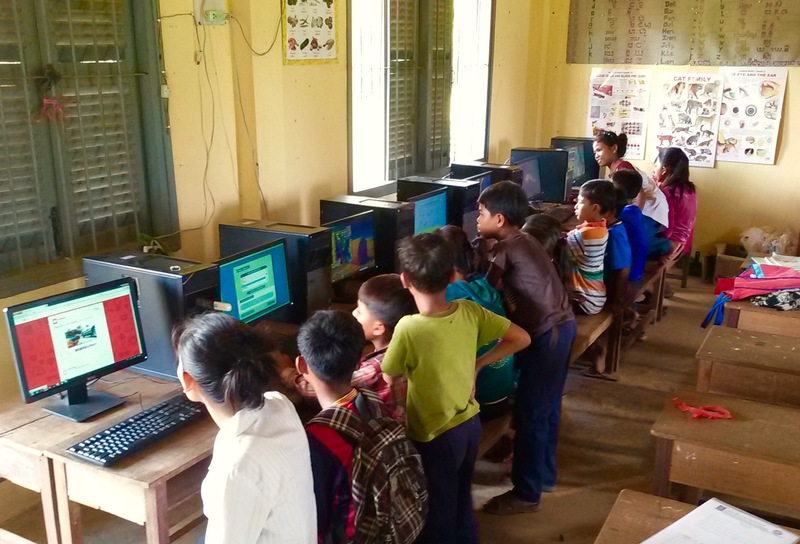 A year-end holiday fundraising effort raised enough funds to purchase two new computers that will are now connected to the electrical grid. Our computer lab currently has four computers operating with minimal interruptions off the power grid and two computers running off solar power. We hope to add three more computers to computer lab. Please click here to help. Two bikes were donated for promising graduating seniors who were in need of transportation to high school next year. 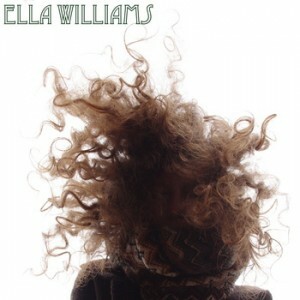 Inspired by her trip to our school in 2013 with The Boston Children’s Chorus, High School Senior, Ella Williams, raised sufficient funds to buy two new desktop computers for our school by recording and selling her first album. These are the first two computers we have that are hooked up to the new electrical grid. 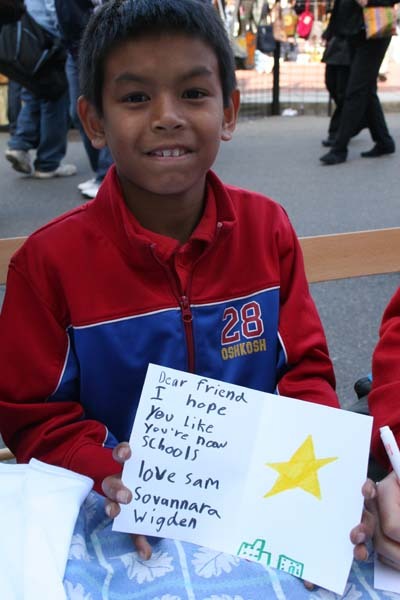 Three groups of Boston-area students were awarded grant funds to purchase more school supplies and books for our school. Click here for more information. 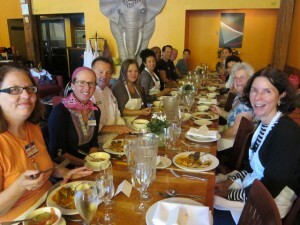 Benefit Cooking Class and Lunch donated by The Cambridge Elephant Walk Restaurant was enjoyed by all. Simmons College Leadership Conference donates bags and school supplies to our graduating class. Thank you, Simmons College Leadership Conference!